"Building Upon Regional Space-based Solutions for Disaster Management and Emergency Response for Africa"
In its resolution 61/110 of 14 December 2006 the United Nations General Assembly established the “United Nations Platform for Space-based Information for Disaster Management and Emergency Response – UN-SPIDER”, as a programme of the United Nations Office for Outer Space Affairs, to provide universal access to all countries and all relevant international and regional organizations to all types of space-based information and services relevant to disaster management to support the full disaster management cycle. Following the guidelines established in the Work Plan for the biennium 2010-2011 (Document A/AC.105/934), the UN-SPIDER Programme, together with the United Nations Economic Commission for Africa (UNECA), have organised the above mentioned workshop with support from the Government of Austria and in cooperation with Secure World Foundation to promote the access to and use of space-based technologies and solutions for disaster management and emergency response within relevant communities in Africa. As it has been recognized by regional and international organizations, disaster management agencies in Africa have to adapt to an increasing number of natural disasters mainly caused by floods and drought. The effects of global climate change will most probably aggravate this situation and substantially increase the economic impact and will threaten livelihoods of an increasing number of people. In addition, vector borne diseases and epidemics of weather- and climate-sensitive infectious diseases, including malaria, meningitis, and cholera, may cause massive disruption to societies and put a heavy burden on national and local health systems. Against this background, UN-SPIDER has designed a strategy that includes a framework and a yearly implementation plan. The strategy targets of networking, communications, coordination, and collaboration initiatives intending to raise awareness within the user community of the benefits of using space-based information and solutions and to contribute to specific activities of the programme. Between 2008 and 2009, UN-SPIDER conducted four Technical Advisory Missions (TAM) to African countries (Ghana, Namibia, Burkina Faso, Togo); it became a partner in the Namibian SensorWeb Pilot Project on Flood Management; supported training activities in various countries; mobilized experts from African nations to regional and international events; and cooperated with various space and disaster management communities at regional and national level. Additionally, UN-SPIDER is supporting the GARNET-E network, due to start in 2010, which is a EU funded project in the context of the European Global Monitoring for Environment and Security (GMES) initiative, and will aim at exchanging information between interested European and African stakeholders, through training exercises and workshops, on the GMES Emergency Response Core Service and the related use of the International Charter Space and Major Disasters. The GARNET-E activity was also presented and discussed during the workshop. To discuss the overarching topics of climate change in Africa with special emphasis of the contribution of space-based technologies to mitigate the impact and enhance adaptation to global climate change and land degradation utilising innovative monitoring and analysing tools. To capture and harmonise the various existing initiatives that are contributing to helping African countries to access and use space-based technologies for disaster management and risk reduction as well as to explore possibilities of capacity development and institutional strengthening. To develop a strategy to engage the support of Regional Support Offices and National Focal Points in contributing to capacity building and institutional strengthening regarding the use of space-based information technology. Experts on Disaster-Risk Management, in particular those with experience on the use of satellite-based data and information for this purpose. Experts from Space Agencies and Experts from national and regional institutions and organisations responsible for providing space-based technologies and solutions for disaster management support. Experts from regional and international organizations active in Africa with regard to risk and disaster management, early warning, food security and health issues. Experts from the UN-SPIDER Network of Regional Support Offices. Experts targeting climate change mitigation in Africa. Experts in disaster medicine, telemedicine , and integrated vector management. July 6, 2010: Session 1 "Climate Change, Healt, Telemedicine"
July 7, 2010: Session 2 "Networking and long-term sustainability"
July 7, 2010: Session 3 "Opportunities to support Emergency Response and DRR activities for Africa"
July 8, 2010: Session 4 "Capacity Building Effors in Africa"
July 8, 2010: Session 5 "Ways to institutionalize Space-based information for DRR and ER"
Become aware of the most recent examples regarding the use of space-based applications and solutions targeting disaster-risk management, emergency response, climate change, and health-related issues; and to advantage of those applications and solutions. Become aware of the activities being conducted by UN-SPIDER in Africa, and identify ways and means to become engaged in these activities. Network with representatives of a variety of countries and regional and international institutions engaged in these types of activities. Identify strategies to bridge the gap between the space and the disaster management communities. Improve the communication and coordination among existing initiatives in African countries regarding access to and use of space-based technologies for disaster-risk management, emergency response, climate change, and health-related issues. 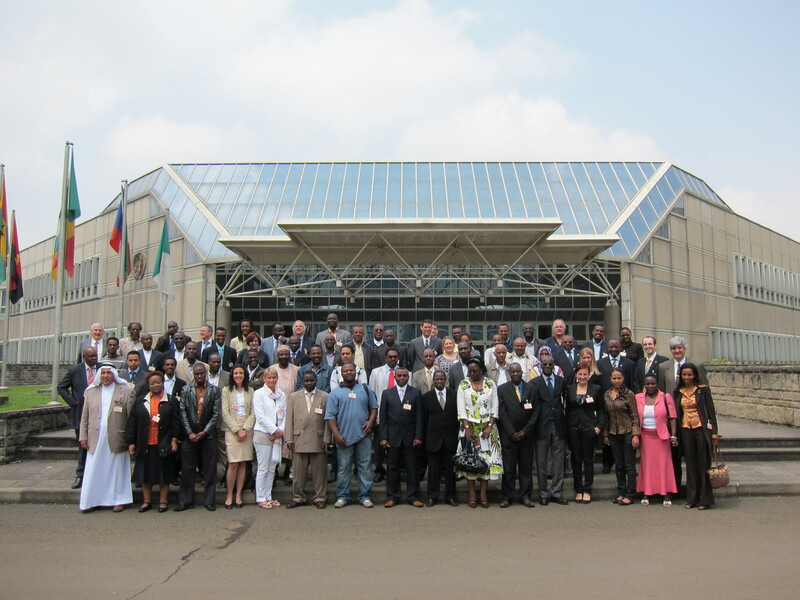 Continue strengthening the network and role of National Focal Points and Regional Support Offices in Africa. Obtain elements to define the strategy to support UN-SPIDER in Africa, including capacity building and institutional strengthening. Collect additional Country Profiles as proposed in the UN-SPIDER 2010-2011 Workplan. Please find a detailed workshop report attached below. For information please contact the United Nations Office for Outer Space Affairs.